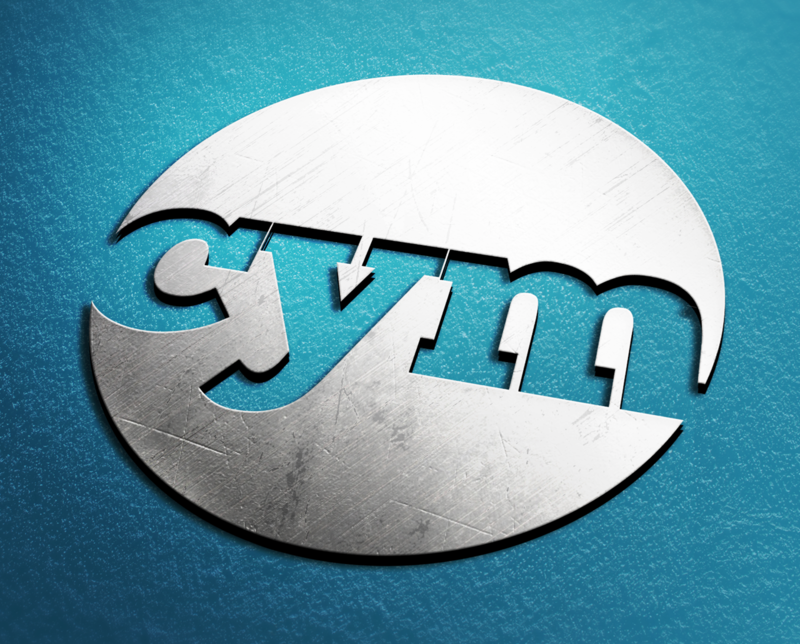 Central Youth Movement, or CYM, is a youth group in St. Catharines, ON. They exist to inspire teens to dream big, live life together and become a community of people who are crazy enough to believe that they can change the world. CYM runs out of Central Community Church on Scott St. They are all about grace, honest conversation and building relationships. Life is about people, and CYM exists to serve and love this community, to reach their God-given potential. 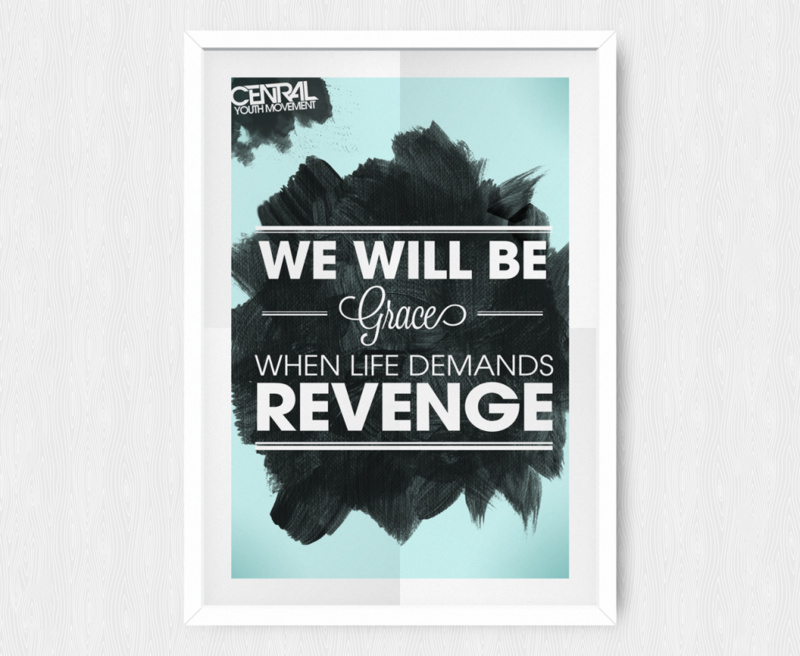 The “Grace When Life Demands Revenge” poster was originally designed for a video we produced for CYM. They loved it so much that they asked for a stack to post around the city. 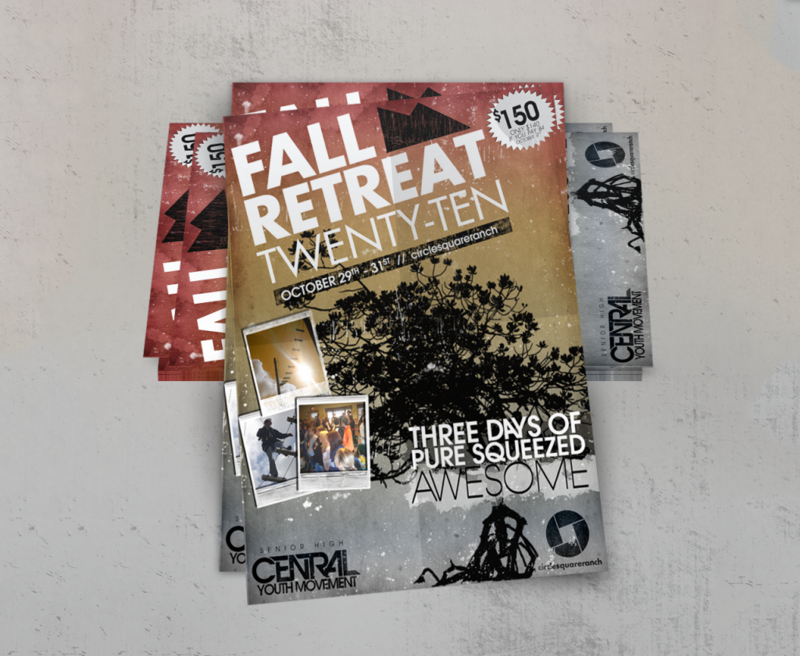 Fall Retreat is a huge event in the CYM calendar, so we created a poster to the build hype. Through the creative process we saw quite a few renditions and we were super stoked on the final product! Along with sermon series branding and development, this poster was also digitally prepared for a 3-screen set up in their auditorium. Designing merch for CYM is 100% pure fun. There’s really no other way to put it. We were given full creative freedom and we just ran with it like a kid who was told he could colour on the walls. 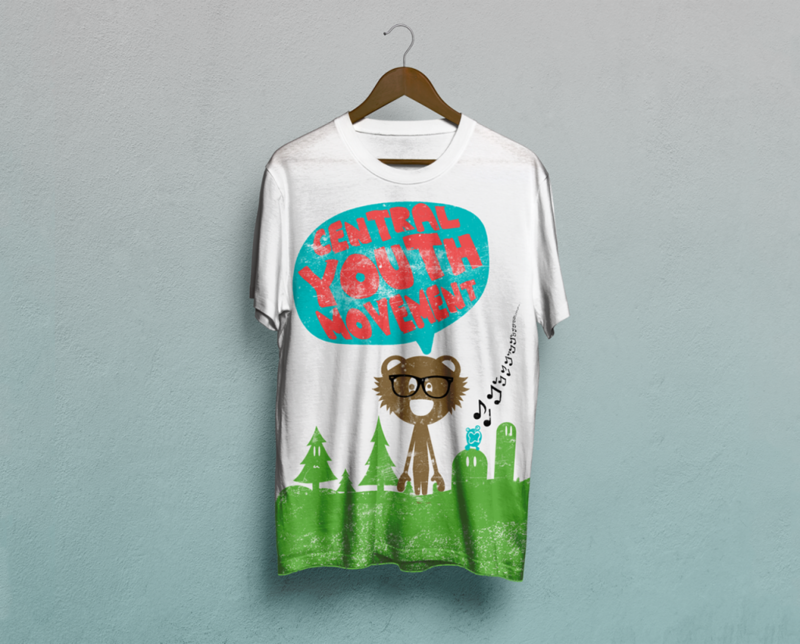 That’s when we created the CYM N3RD B3Ar mascot as part of a t-shirt line. 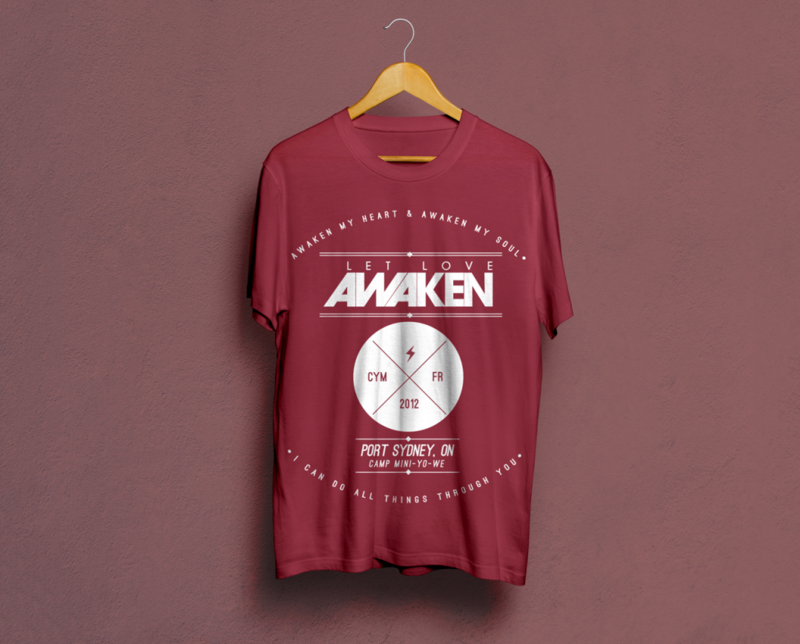 We also designed a shirt for their “Awaken” Fall Retreat. We wanted to produce a tee that people would want to wear. Period. Not just to youth events, not just to church. Wherever. Wearever™. That’s what we called it, or that’s just what I’m calling it right now. Fall Retreats can be turning points for students, memories are packed in heavy too, so we chose words that reflected the retreat to strip up those memories. 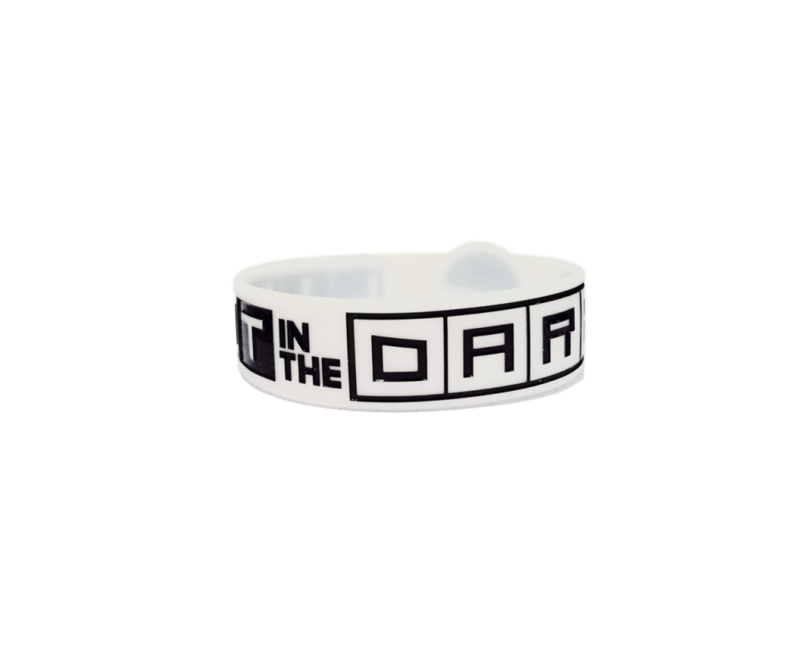 And of course we can’t forget the silicone wristbands. 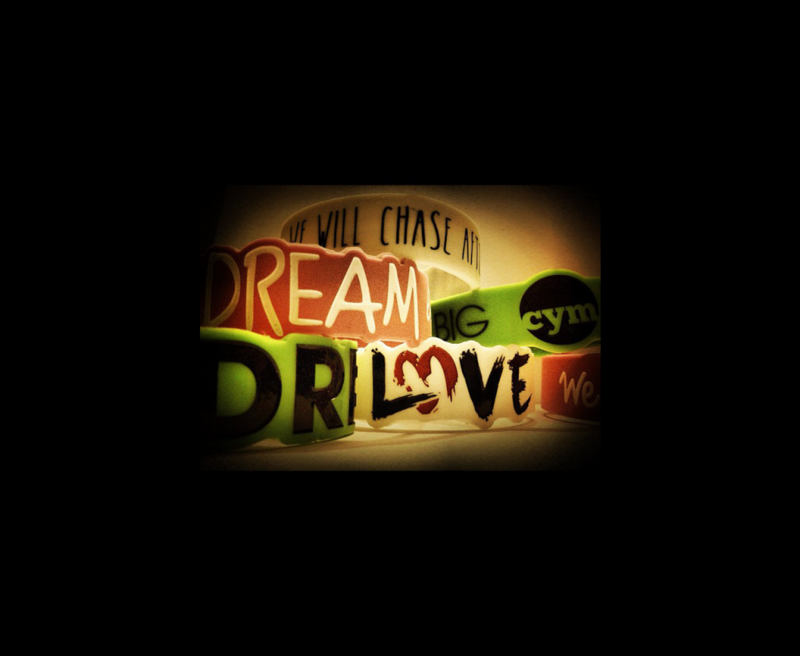 The die-cut “We Chase After Love” is definitely our favourite. 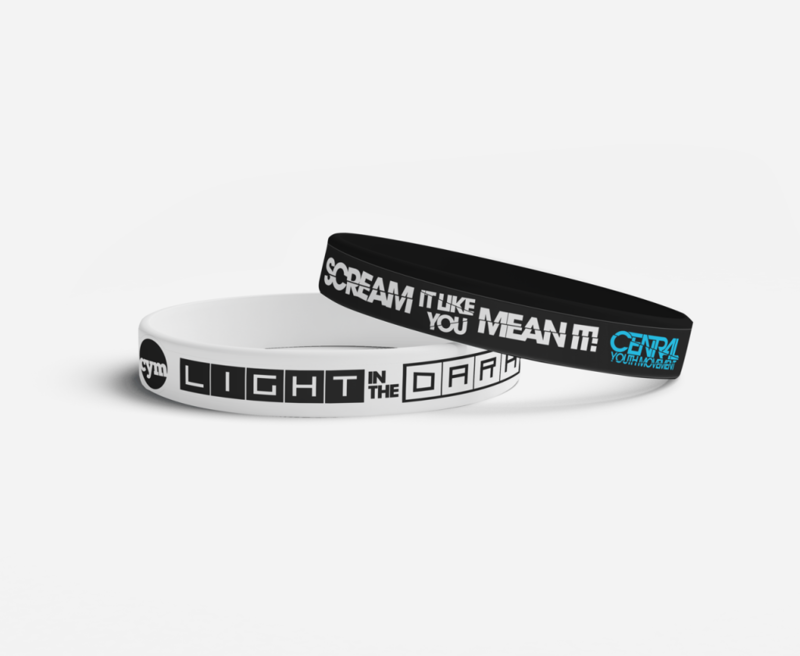 The “Light in the Dark” wristband was created for a special youth night to encourage students to be the change in the world, to be light in dark places. 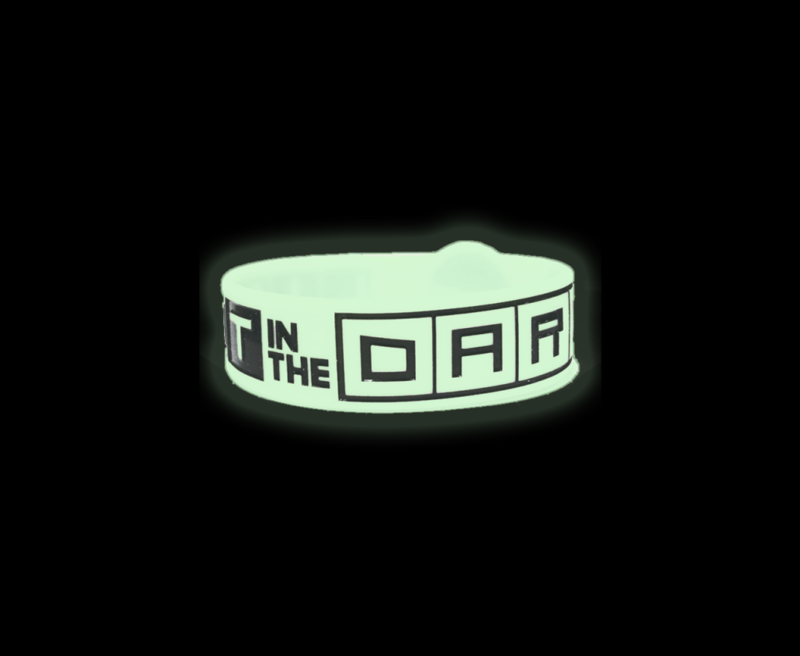 The wristband of course glows in the dark too, so it really reflects that concept rather fantastically. We will dream big, live life together and become a community of people who are crazy enough to believe that we can change the world. We will be the hope for broken lives. We will be grace when life demands revenge. We will chase after love. We will seek to truly know the living God. We will be a movement. 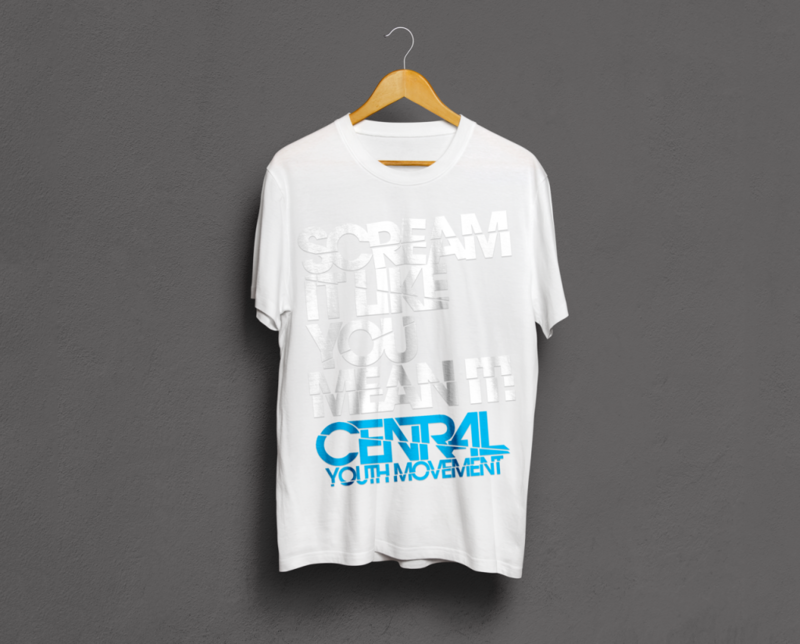 Central Youth Movement. The 1980s were a totally rad time. Ridiculous, but rad nonetheless. Radiculous? Anyways, this bumper vid is bodaciously inspired by 80s stylingz. It was designed for a series inspired by the My Strange Addictions TLC show that explores some of the weirdest addictions that wouldn’t even enter your wildest dreams. Check it out! Designing merch for CYM 100% pure fun. There’s really no other way to put it. We were given full creative freedom and we just ran with it like a kid who was told he could colour on the walls. That’s when we created the CYM N3RD B3Ar mascot as part of a t-shirt line. We also designed a shirt for their “Awaken” Fall Retreat. We wanted to produce a tee that people would want to wear. Period. Not just to youth events, not just to church. Wherever. Wearever™. That’s what we called it, or that’s just what I’m calling it right now.